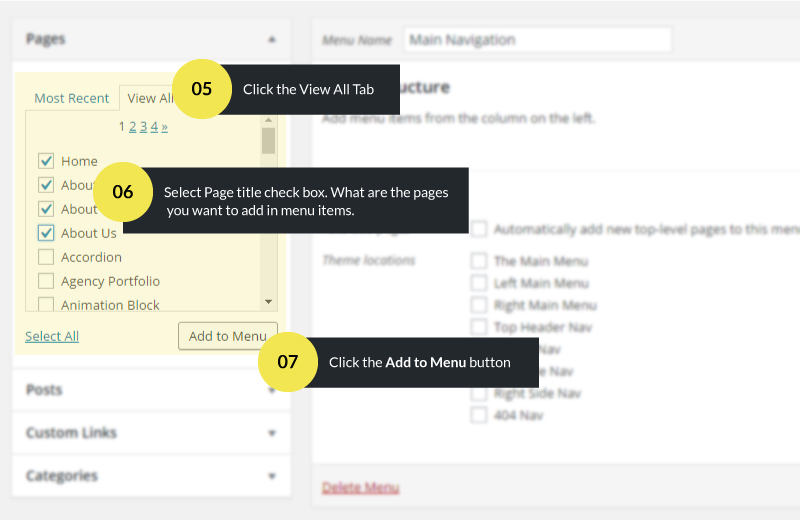 Create and assign menu items. 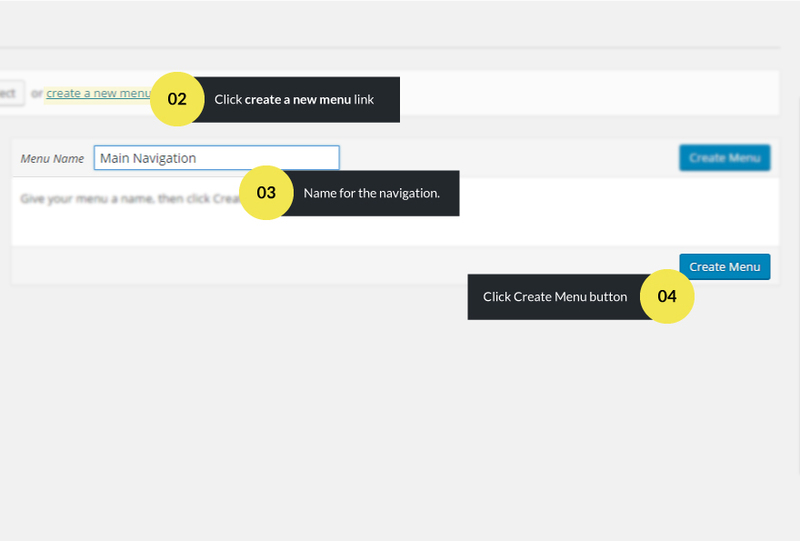 Select Create a new menu at the top of the page, Enter a name for your new menu and Click the Create Menu button. 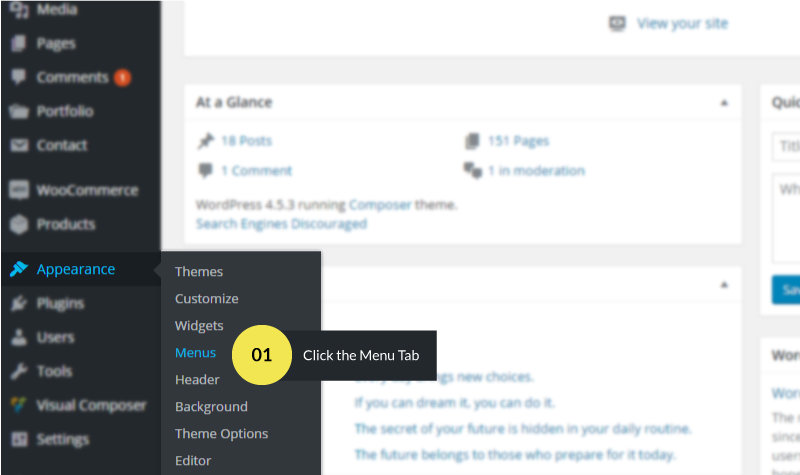 Locate the pane entitled Pages, Posts and Custom Links. Select the links that you want to add by clicking the checkbox next to each links. 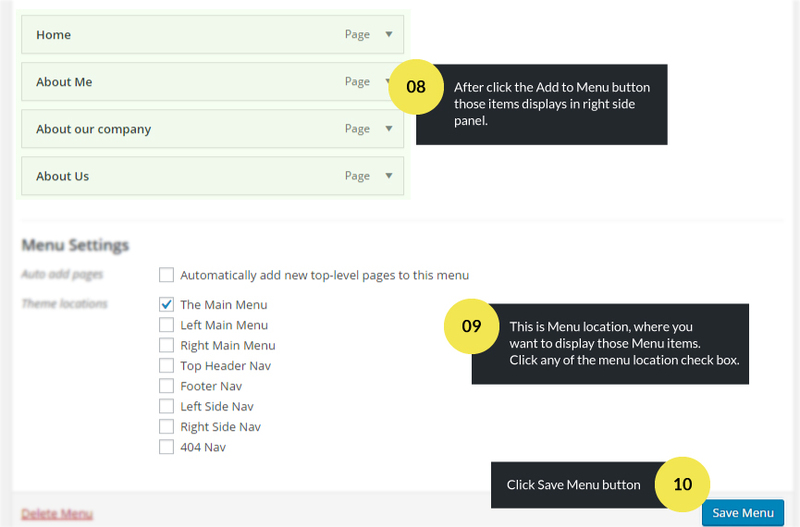 Click the Save Menu button once you’ve added all the menu items and select the theme location.